Whether artificial or straight from the farm, every Christmas tree tells a story. They’re stories about newlyweds celebrating together for the first time and grandparents looking back on decades of happy memories. No matter what your story says, there’s no doubt it’s all about family. Everyone gathers around to decorate the tree with symbols and pictures that mean the most to them, and this year, it’s time to include the dog. Decorating the Christmas tree is a holiday tradition the whole family loves. Your pup might not possess the opposable thumbs needed to hang delicate ornaments on long branches, but that doesn’t mean he can’t join in on the fun. Besides dressing your dog in his favorite Christmas sweater and treating him to delicious and nutritious holiday sweets, you can make him feel extra loved this year with his very own Christmas tree ornament. iHeartDogs is all about making pups feel like part of the family. Mixed in with those ceramic Santas and glistening glass balls, every ornament on the tree is part of a family’s Christmas tradition. There are ornaments commemorating baby’s first Christmas and that time in school you experimented with glitter and bows, so why shouldn’t there be a seasonal symbol for the love you have for your dog? The iHeartDogs collection of ornaments celebrates all the ways dogs fit in with their families. There are little dogs snuggled by the fireside and big dogs romping through the snow, and they all deserve a place in the family story. 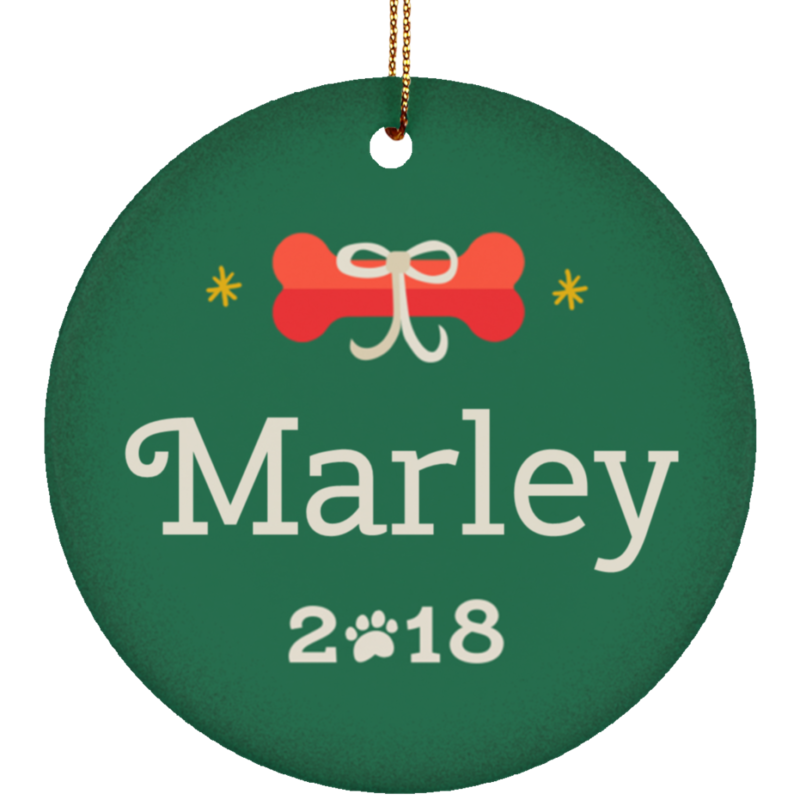 An ornament customized with your pup’s name is the perfect way to show them, and everyone else who admires your tree, that dogs are part of the family. All the personalized ornaments in the iHeartDogs store are made from high-quality ceramic that will endure the test of time—just like your dog’s love. There are several designs to choose from to match your dog’s individual Christmas spirit. And while you’re busy showing your pup how much you care, don’t forget about their stocking! The Santa Paws Christmas Stocking is perfect for all the pups patiently waiting for Christmas morning. Personalize it with their name and watch their excitement when they see it filled with a bunch of goodies just for them. We think all pets belong on the nice list, and that means spoiling them in Christmas cheer. When the family gathers around to pull their favorite decorations out of dusty boxes, your dog’s personalized Christmas tree ornament will remind you of the bond you and your pup have always shared. 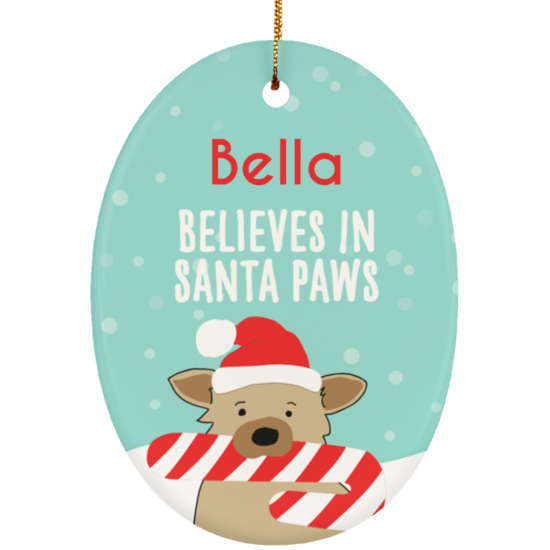 Hang it on the tree front and center to tell everyone your family’s Christmas story full of fun and furry family.